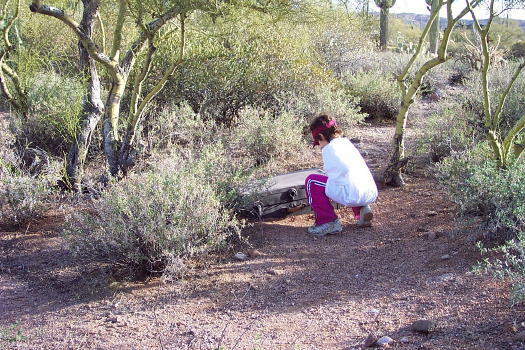 Not long ago, Danielle was visiting her grandparents, in Arizona, and decided to go for a trail hike. She found an old trunk on her last visit and was hoping that she could find it again. 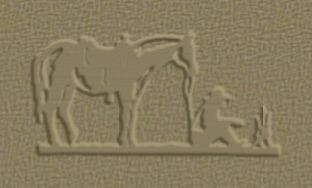 It didn't take very long before she spotted the old trunk hiding behind the sage brush, under the palo verde trees. Hey LOOK! Let's see if there's anything in it!